I will not be a hypocrite. Many knew that our union was a fast one. We met on August 2013 and got married at September 2014. t was a fast affair. But not one that we regret. Yes, as most of you already knows, I was already pregnant with Cloud when we got married in September 2014. It is not something that I am proud of. But I do not hide nor cover that up either. It’s the truth. But the most important truth is this – we got married not because I got knocked up, but because we knew that we are ready and we wanted to do it. We did not got married because society dictates that we do so. We did not got married because our families wanted us. We got married because we are ready. And most importantly, we wanted to seek God’s guidance and provision as we took on another step in life – marriage and parenting. 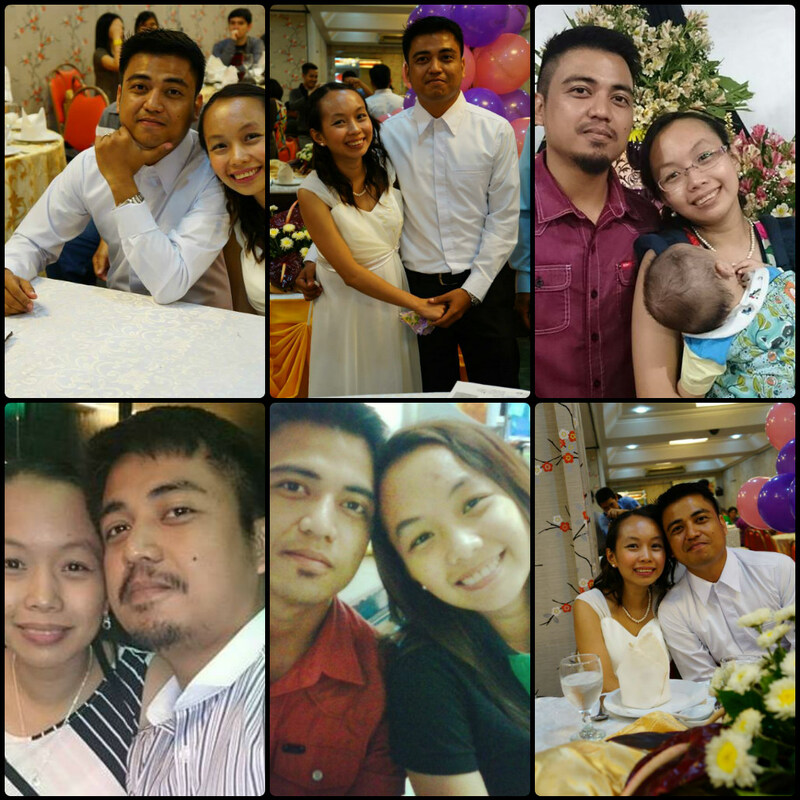 In a few weeks, we will be celebrating our fourth year as a couple. The journey was not without its bumps and flaws. There had been fights – huge ones and petty ones. There were exchanges of words – some quite hurtful that we both took time out for healing. But most importantly, it has been a life changing and lesson filled four years. Some of those lessons I have learned, I will share in this post. Make God the center of EVERYTHING. We ensure that we always pray as a family. And God’s plan is indeed always better than ours. He started using people in the form of colleagues, friends and family members to help answer our requests and petitions to Him. I started attending worship service again and included Cloud in the kid’s ministry. Slowly, God is transforming our marriage. Most importantly, I surrendered to Him all my doubts, fears and negative thoughts towards my partner. I keep in my heart God’s reminder about what Godly love is. It is not selfish, it does not keep a record of wrongs and does not rejoice over evil. We both strive to learn how to address our issues without raising our voice or making a scene with our fights. A marriage centered on following God’s example is a marriage bound to succeed. It is a marriage comprised of two sinful individual with a God who forgives all sins. On the first few months of our marriage, I was struggling. I found it hard to tell my husband what I really feel about certain things. Instead, I would just sulk and throw a tantrum. Very childish and immature. Very wrong for a woman of God. And it’s true. Men are not mind readers. No one is. For us to be understood, we have to say what we want to say and mean it. Be direct and straight to the point. I have a husband who hates “paliko likong usapan”. He would rather have it straight out than trying to make him figure out what I want to say. Also, talking and communicating are not synonymous. I’ve realized that I talk. Like a lot. But most of the time, I do not communicate with my husband. I was so busy talking and when I’m not talking, I’m not really listening to what he is saying but rather, my mind is again busy crafting responses for his argument. Very wrong. Communication should be two way. Speak to understand. Listen to understand and not just to respond. 3. WINNING AN ARGUMENT is secondary. The primary is KEEPING THE LOVE. In the recent months, I’ve realized that I don’t really have to win every argument. What’s the point of winning when you’ve hurt each other with words? What is more important is that I was understood. He may not agree with me but at the very least, he understood my point and where I am coming from. 4. And the most important thing, CHOOSE LOVE. The decision to love my husband is a decision that I made daily. It’s true. Keeping the marriage vows of “through thick and thin” is easier said than done. There are days when it’s extra hard to do so. But it is this extra hard days when I lean closer to the Lord for that extra dose of love and guidance. Because it’s easy to say “I love you” when the finances are okay, the kid is healthy and bills are paid. But it gets tougher when the kid is sick and he’s on travel, or you’re unwell and he has to be away. Or those days when you needed love affirmation but he’s also busy and can’t just get it. Love. Choose it. Make a conscious decision to keep that love alive in your heart. And when it seems that the glow has died out, remember your marriage vows. Yesterday was Father’s Day. I wanted to have some sort of celebration. Jay had other plans. Early morning, I greeted him Happy Father’s Day. There was no response. Not even a “thank you.” I remembered how it was during Mother’s Day, he spent it in a league game. So, maybe that’s just how he is. Not showy. Then I asked him if we could buy a cake for his Father. He said he would rather get some pizza. I said, well yeah, okay, pizza. Then he asked me to call the pizza delivery. I was getting pissed and I can already feel my head throbbing in frustration. I.DON’T.WANT.PIZZA. Late in the afternoon, we went to the supermarket to buy our weekly meals. He got frustrated, he lost his money. In his frustration, he snapped at me. My resentment started to grow. And just when I thought we are going to bed, I noticed him getting dressed. He said he’s going out with some friends of his. I knew that he’ll drink and probably smoke a stick or two. I’m starting to get angry. He had just finished his medication and the throat specialist strongly recommended quitting on alcohol and smoke. But i am not in any mood to argue. And besides, I feel like I don’t have the strength for an argument. So i let him leave. And yet, I wasn’t able to sleep. I feel angry, frustrated and humiliated. What kind of husband would rather spend Father’s Day with his friends than with his wife and kid. He didn’t want to go out with us yet he stayed out late with his friends. My head was throbbing and I’m starting to feel shaky – out of anger and resentment. I wanted to shout at him, lash out at him, anything just to make him feel the same way that he did to me. But I ended up praying. And God led me to Ephesians 6:24 Grace be with all those who love our Lord Jesus Christ with incorruptible love. As humans, we are always vulnerable to worldly emotions. But as married couple, we must strive to work on our differences. As our vows say “through thick and thin, in good and bad”. How many of us are trapped in walls that are slowly destroying our relationship? Many of us have created barriers in our life. Barriers firmly established with selfishness, greed, apathy, pride and hate. We put up strong walls nailed together by hateful silence, distance, unresolved issues,misunderstanding, annoyance and ridicule. But as chosen sons and daughters of Christ, we are bound to have a heart like Jesus Christ. Look back on how He came to destroy the line between Jews and Gentiles. Let us follow His lead. Let us hammer with forgiveness, and wrecker with honour, grace and repentance. Far too many marriages had failed because of the “nails” I have mentioned above. Jay and I struggled with communication, too. Many times that I have felt hurt but I didn’t told him. Instead, I put up my wall of silence and silently seethe in anger. While he has completely no idea what I was fuming about. There were also times that he put up his wall of annoyance. I have the tendency to be forgetful and emotional, and he didn’t like it. Our marriage is young, we do not have the accolades of experience, but we are slowly learning. We are now cognizant of the fact that we need to be constantly communicating. The secret to our simple but happy union-our pursuit to be Christ-like in our living, seeking His guidance and blessing in all things. We have learned to tear down our walls and open the door of our hearts to God and his lessons. 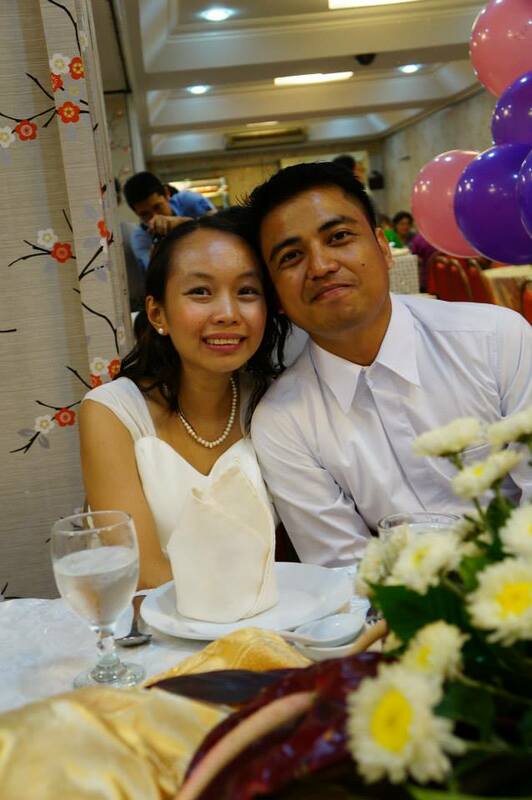 My partner in pursuing a Christ-centered family and a godly child. I look at the twinkling Christmas lights while I was stuck in the heavy traffic of the Metro. As a little girl, I used to be so amazed by the splendor of those lights. More than once, I wished of living in a house full of twinkling lights and giant Christmas trees, laden with gifts and sweets. Twenty plus years later, here I am. Still amazed by the splendor of the lights but no longer wishing to live in a house filled of twinkling lights and christmas trees and gifts and sweets. All I wanted is to be at home, with my folks and my dear sister. Typhoon Haiyan had hit our town, and few days before Christmas, electricity is yet to be restored. In lieu of twinkling Christmas lights and all the grandeur of this Season, our home is lit by one electric bulb, powered by a generator. No tall Christmas trees or gifts, either, as most of our finances went into the immediate restoration of our house. But I don’t care. I don’t need those fancy stuff, all I need is to see and feel that my family is safe and well. No amount of grandness can compensate for them. Perhaps, with ageing comes the shedding of a girl’s rose-colored perspective of life into something more realistic. A little bit harsh and tough but still wonderful. How can the man who still the storm and turn water into wine allow a nail to pierce his hand and tore his flesh? If he really was the Son of God as he claimed to be, surely His power can resist the simple act of nailing Him to the cross. Remember, with just a wave of His hand, the Tower of Babel has fallen. With the raising of His hand, the Red Sea parted and allowed His chosen people to pass. Why is it then that He didn’t resist the nails? Did he allow it to glorify Himself? Or did He saw something more than the hands of a carpenter being nailed to wood? What He saw in his hands was a list. A list of all the sins, of all the evil, of all the wrongs of mankind. And He didn’t resist. God’s promise has to be fulfilled. And so He allowed that soldier to raise the hammer and deliver the blow that tore his palm. And with that, blood flowed. The list that was in His hands can no longer be read. It is covered with the blood of the sinless. The sins of the sinful was washed away by His blood. And this is what the nails at the cross remind us beloved. That our sins has been forgiven.Yes, we all know that the shedding of blood of a sinless is necessary for our redemption but He did more than that. He died for us. 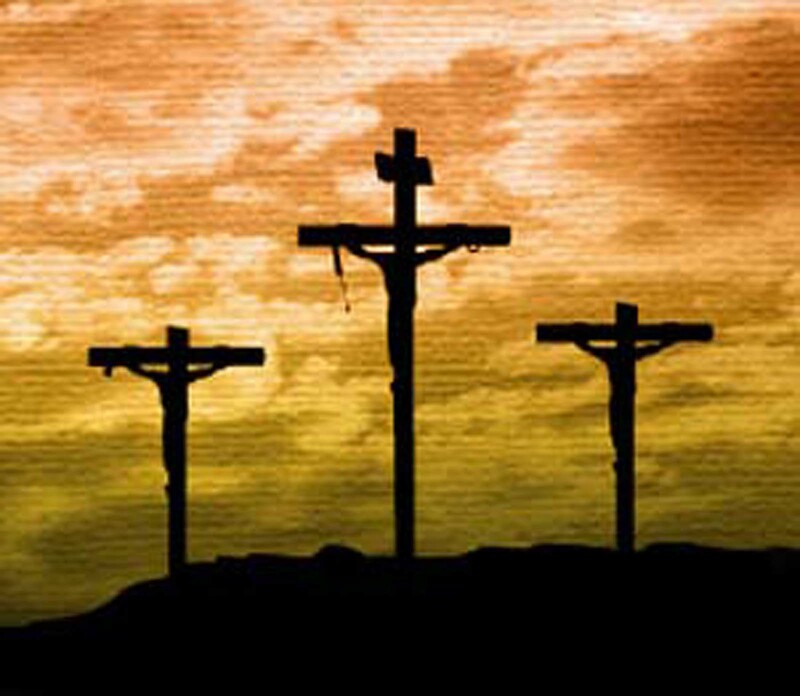 He suffered humiliation, pain, hunger and sorrow. Things that we are supposed to suffer, sinner that we are. But He took it all for us. I have just finished reading Max Lucado’s book, aptly titled “He Chose the Nails”. The book discusses the several gifts found at the cross and it’s relationship to our life as Christians. One of the many gifts found at the cross was the gift of choice, symbolized by the two sinners crucified on both sides of the Son of God. They were both sinners and them hanging beside Jesus Christ is a mockery to His greatness, to His sinless being. They were both hanging there because they have sinned, they have done something wrong. And that’s where the similarities of the two sinners end. Why? Because one chose to be saved, while the other hardened his heart. We are all given the choice, just like the thieves at the cross. If that one thief, whom his entire life was dominated by sin, was given the glory to be with Jesus Christ in paradise because of his last minute choice to accept God, how much more can we, beloved? We have our entire lifetime to choose. Everyday, we are making decisions. Even on how we spent every precious second of this life is a choice. We can either be idle or productive. Proactive or push-over. The gift of choice is one of God’s greatest gift to humanity. Sometimes we wonder, if God really loves us, why does He allow us to sin? Because God wants us to have a personal relationship, a personal encounter with Him. Our shortcomings, our sinful nature, is actually an opportunity to know God more. Our weaknesses are vital instruments in recognizing that we need Him in our life. What will you choose, beloved? 1 Timothy 4:12 – Let no one despise you for your youth, but set the believers an example in speech, in conduct, in love, in faith, in purity. My parents had always told me that I should make my adolescence and youth life worth remembering. Something that I can share to my future grandchildren and be proud enough to tell them that I have lived a happy, enjoyable and memorable life as a young person. I guess I almost failed my parents in this particular request. With a series of fights with my dad, which sometimes end up by me staying at my grandparent’s house for several weeks, and a list of failed, sinful relationships, it definitely was a dark stage. But God will never allow His children to stay in evil. All it took was one moment with Him for me to realize that it was not yet too late to follow the above stated verse and my parents’ request. I made amends with my Dad, and I realized that he was right all along. Sin and deceit had cloud my judgement before. Sinful relationships were put to an end. And the journey with Jesus Christ – a journey of taking a new life, obeying His words and allowing His plans for me started. It is not easy. I am used to living my life by my rules, by the way I want it. But the promise of eternal life with Him is more than enough to keep me strong. You see beloved, just like me, we are all given the choice to live a life with Him. And we are just young once in our life. We belong in a generation where commitment had become almost obsolete and respect is foreign. Love has become cheap and purity is a stranger. Is this what we wanted our future grandchildren to know from us?